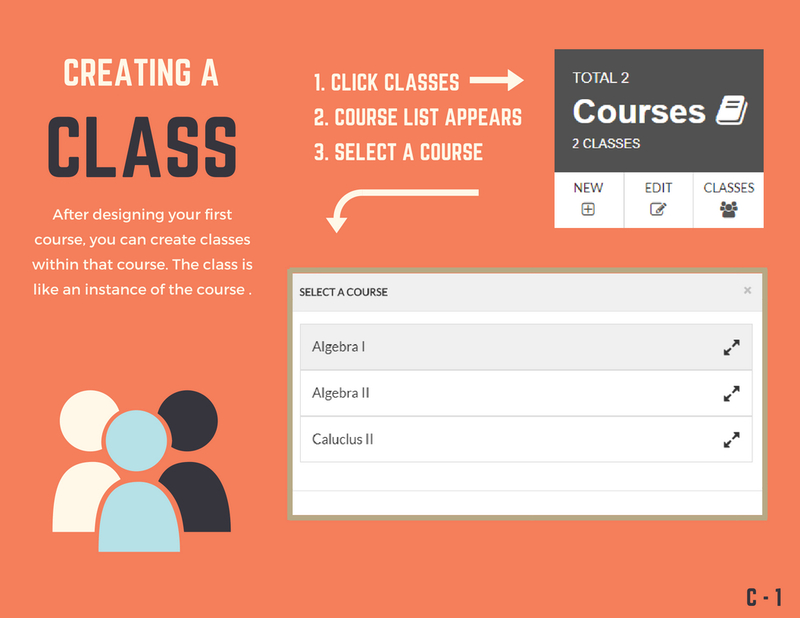 After creating a course, you are going to need to create a class within the course. 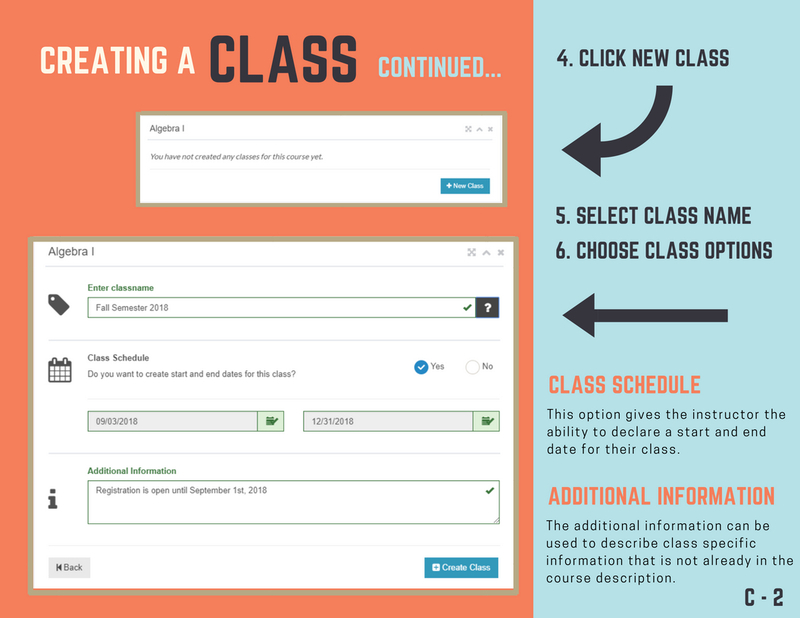 Upon creating the class, you will be given a class code. 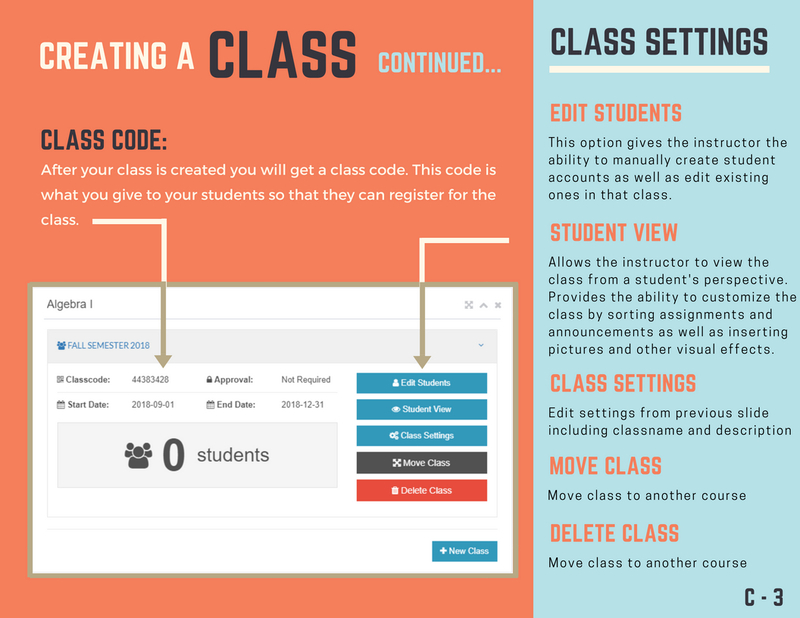 You can give the class code to your students so that they can register for the class themselves. Or you can create users manually and give your students a username and password.